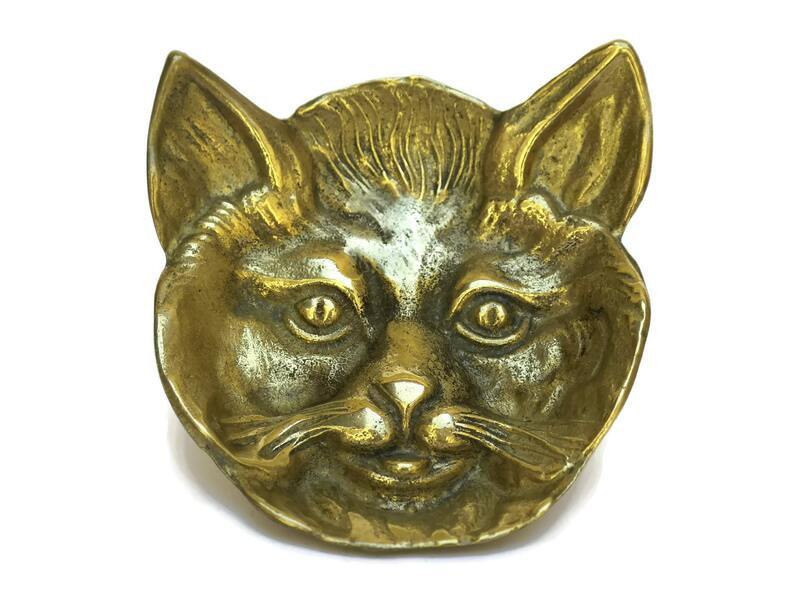 Brass Cat Face Ring Dish. 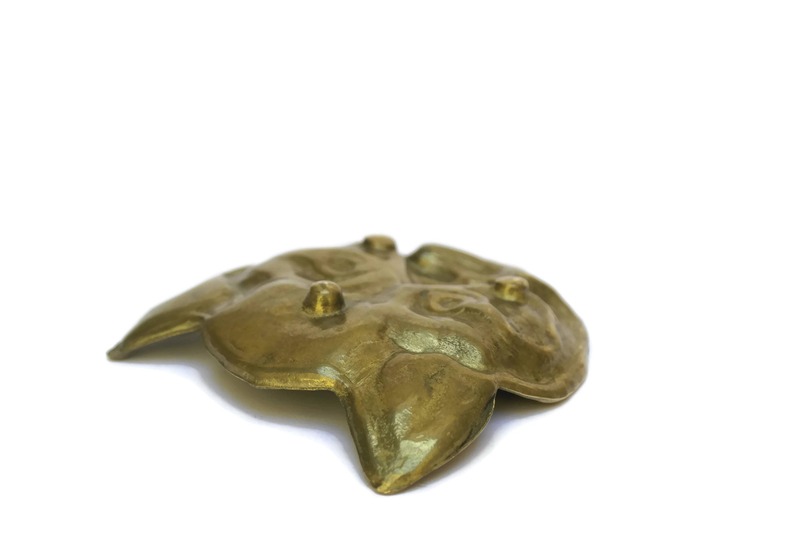 Vintage French Jewelry Tray. Kitty Coin Tray. Cat Lover Gift. 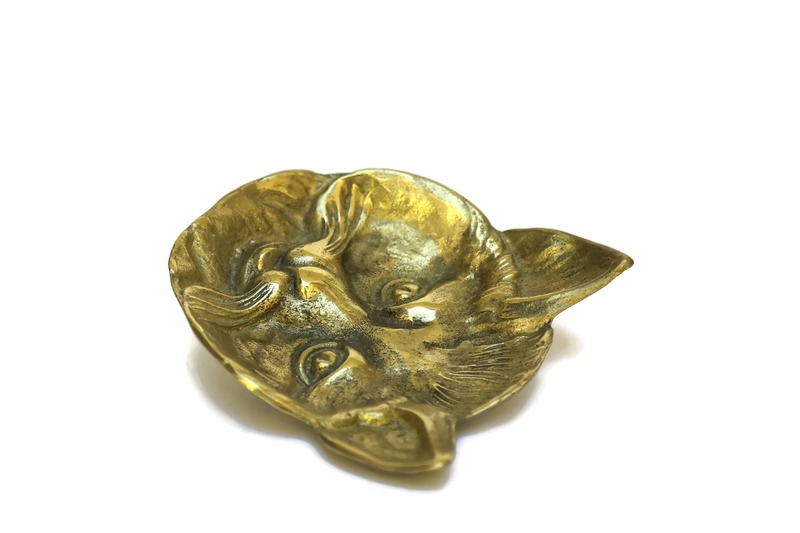 A lovely brass cat face ring dish. 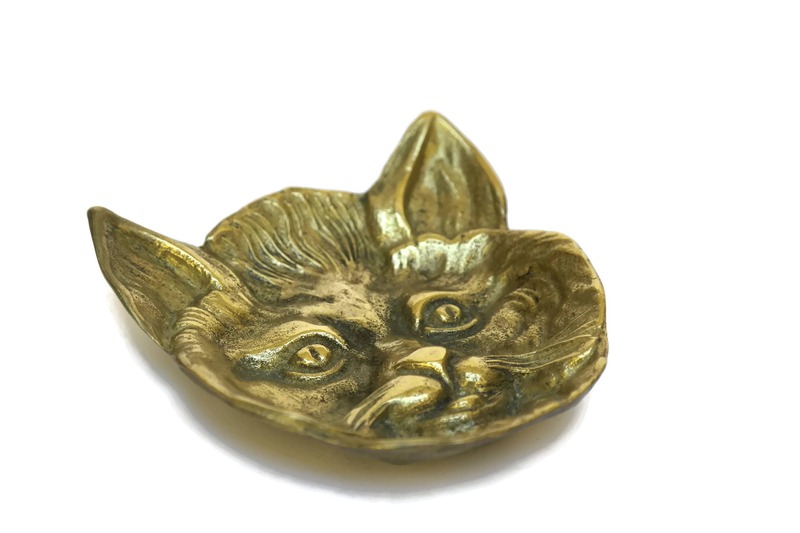 The vintage French ring dish portrays the face of a cat with charming expression. The dish features a detailed raised relief design and rests on three small feet. It will make a quirky addition to your home decor or great cat lover gift. The kitty coin tray is 3 1/2" Wide (9 cm). 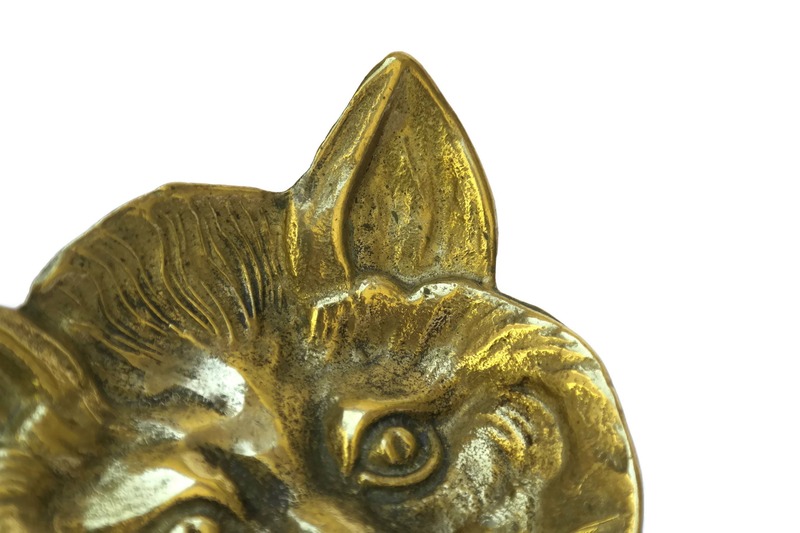 The brass cat ring dish is in good condition with patina.